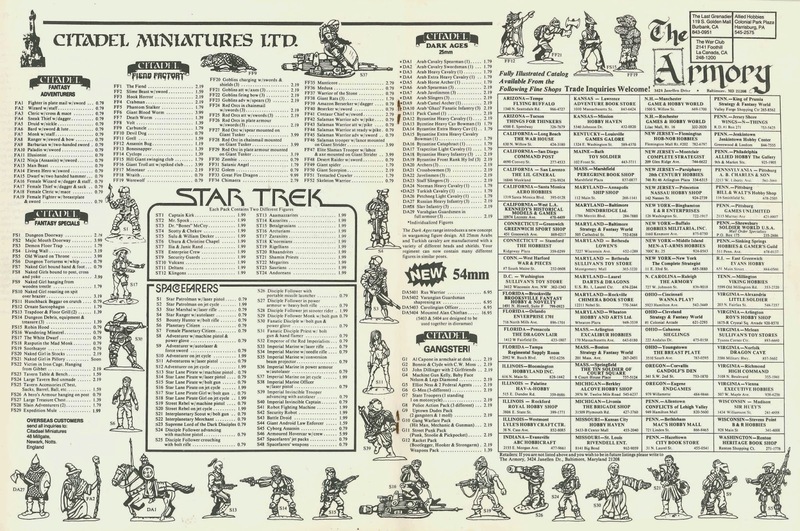 In 1983 a US importer of miniatures and gaming paraphernalia released what was to become, for me, a veritable pre-internet Bible. 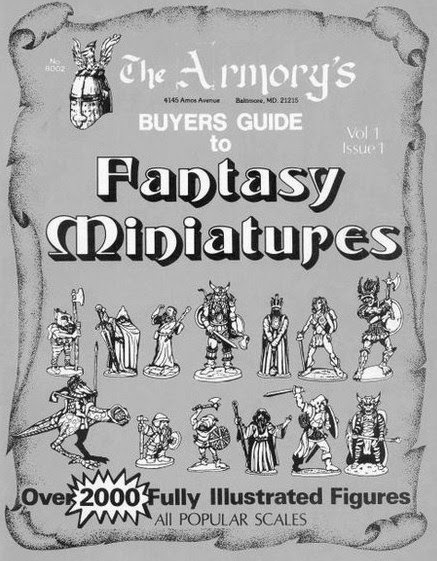 The Armory's Buying Guide to Fantasy Miniatures; Vol 1 Issue 1. A short few years later the manager of the Games Workshop where I worked in Manchester (Tim Olsen) travelled over to foresee the GW taking apart of the company after it had fallen the way of many, if indeed not most, gaming related companies in those halcyon days of yore. I sent him over with a large list of pieces I would like with little thought of the cost involved....I worked alongside a youthful (as was I at the time) Tony Cottrell who now runs Forge World. Tim came back laden with bits and pieces but without the cornucopia of lead I was hoping for...apparently airlines at that point preferred to be able to have their planes being able to leave the ground. Strange. Anyway, Tim brought me back my first ever Dragontooth set......The Magic Shop. Thanks Tim! A copy of the Armory Guide is available in PDF format from the wonderful 'Painted Miniatures' site here. 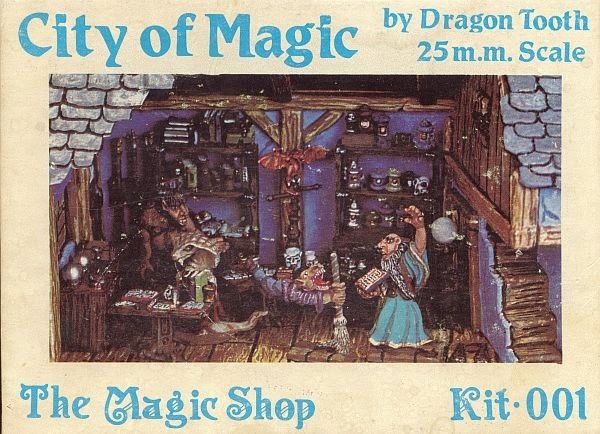 The point of this post...if there is one beyond my waffle..is one of posting some more old ads from Dragon magazine, the old TSR publication that lost its way once it stopped featuring miniatures...in my most humble opinion of course. The miniatures are mostly photographed on the Lost Minis WIKI..where there are gaps there is a need........ Enjoy. Also discovered this one for Citadel Miniatures........most illustration are in the Armory's Guide however a few aren't so worth tagging on here. Those line drawings so made me want to hoover up all the figures depicted, far more so than photographs. I remember a pilgrimage to Dalling Road (from deepest Somerset) clutching a tenner in about 1981 and getting Tim to pick out loads of figures from the little drawers behind the counter. He then said "That'll be £34.56" and promptly had to put most of them back. I was quite young in my defence, but if you still are in contact with him, send my apologies.